There is incredible momentum in the Unity3D product and its community. I recently posted “The Best C# Code Naming Conventions” and “Unity Best Practices”. I came across one best-practice that requires a bit of setup, so here it is; using symlinks for game development. The Unity Editor IDE does not facilitate collaboration between developers nor collaboration between projects. 1.Want to use version control? Git? SVN? You can, but it is not easy. While certainly possible I suspect these strategies are purposefully kept difficult to encourage developers to purchase the Unity Collaboration & Unity Asset Server packaged features which are available for sale on the official Unity Asset Store. 2. Want to share your code between projects (local or remote)? You can, and it is easy with custom packages (here is how), but it is not great. You are sharing a COPY of your code. Update your code and you have to re-export and re-import it everywhere. Difficult! I suspect its difficult for the same reason as above. I’m happily surprised how great Unity Indie (free license) is. I really am. Yet, I’m still disappointed at these shortcomings. Fortunately there are some free workarounds. You can indeed use any version control to collaborate with other developers (local and remote). Its a bit tricky to setup (here is how, and here is some GIT advice). Enjoy! On Window (here1, here2), MacOSX (here), and Linux (here) you can create symlinks. In computing, a symbolic link (also symlink or soft link) is a special type of file that contains a reference to another file or directory. A symlink is SIMILAR to a shortcut (Windows) or alias (Mac). You click the symlink in Finder (Mac) or Windows Explorer (Windows) and it opens the original file. You’ve probably used them often. The added benefit of symlinks is that applications (most) cannot tell the difference between a symlink and the original file or folder. It is this difference we will exploit here. Here are the instructions for using Symlinks with Unity on MacOSX to share code between three unity projects. The setup would be similar on Windows/Linux. Give it a try on your platform and post below with any suggestions! Assets -> Create -> Folder -> “MyUnityLibraryScripts”. This folder (and any subfolders) will be the location of 100% of the code you want to share. Let’s add one file to share. 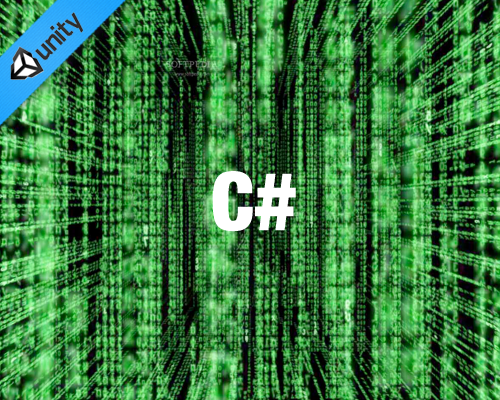 Assets -> Create -> C# Script -> “MyUnityLibraryScript” with the contents shown below. Drag “MyUnityLibraryScript” into “MyUnityLibraryScripts” within the Project window. Assets -> Create -> Folder -> “MyUnityLibraryScripts” with the contents shown below. Repeat the same steps for ‘MyUnityGame2’. And now here are a few solutions to ‘share’ the code between the projects. Ideally A would work in all cases on all operating systems. I’m still working on that. UPDATE: A) The following fails on mac. Mac does not allow ‘hard links of folders’ which Unity wants. Mac can do soft links but the Unity Editor IDE does not recognize ‘soft links of folders’. Anyone have the following 3 lines working on PC? Share the lines as a comment below. Anyone have a workaround for MAC? Type “ln -s /Users/srivello/Desktop/MyUnityLibrary/Assets/MyUnityLibraryScripts/ /Users/srivello/Desktop/MyUnityGame1/Assets/MyUnityLibraryScripts” (without the quotes). This creates a symlink from the EXISTING folder in MyUnityLibrary to the NEW (symlink) folder in MyUnityGame1. Use absolute paths as I show here. Type “ln -s /Users/srivello/Desktop/MyUnityLibrary/Assets/MyUnityLibraryScripts/ /Users/srivello/Desktop/MyUnityGame2/Assets/MyUnityLibraryScripts” (without the quotes). You can download this free Mac App and it works great. (https://www.macupdate.com/app/mac/20983/arrsync) But you have to manually click ‘sync’ whenever you want to refresh the folder across your projects. Not bad. Anyone have a better workaround? So what have we done here? Now both MyUnityGame1 project and MyUnityGame2 project have access to the code from MyUnityLibrary. Currently we have just one class in there. ANY of the 3 projects can be opened and you can edit/add new files. They all share a reference to the original MyUnityLibraryScripts folder. No need to COPY scripts! Great. No need to Export packages or Import packages! Great. Prefabs – There are issues with prefabs via symlinks. Link URL? BuildOptions.SymlinkLibraries – This Unity Editor IDE setting (more info) is completely unrelated to my technique above. Don’t be confused. GIT Submodules – This technique may replace the need for symlinks. I have not tried it yet. If you use metafiles in order to use a non-unity asset store (I use SVN) symlinks fail because they have the wrong metafile version numbers between client and server (I was trying them out so I could have common code between them). I ended up putting the client and the server in the same project and just always running the server in batchmode. I’d love to know if you figured out a way around the meta files problem. I treasure the knowledge on your websites. Thanks a ton!. Basically want to tell you Now i am ecstatic I stumbled on your web site!. One last benefit of purchasing Ultra Pure Garcinia Cambogia through Amazon is the reviews. I’m often to blogging and i genuinely appreciate your content. The article has genuinely peaks my interest. I’m going to bookmark your site and maintain checking for new data. Hi, i read your blog occasionally and i own a similar one and i was just wondering if you get a lot of spam remarks? If so how do you reduce it, any plugin or anything you can suggest? I get so much lately it’s driving me insane so any assistance is very much appreciated. His lots, the Earl of Gilchrist as well as Girl Gilchrist, were actually standing by below the steps, so the girls did not instantaneously pounce. Gowan ased if Gilchrist– he was demanding yet reasonable, as well as possessed a brooding look that was practically Scottish. They were actually each curious about economic affairs, unlike most men, and the earl was actually a damned fine real estate investor. Given that Gowan was a governor from the Financial institution from Scotland and Gilchrist carried a identical article at the Banking company of England, they will exchanged a good deal from correspondence over the final number of years, though they will hardly find. Our pair of favorite, must-purchase power-ups are the Fire Hammer as well as Hard Boots. The Fire Hammer allows you to attack two tiles off of the little princess rather than simply one. This means you can easily ward off foes just before they are actually within range of striking you, grab fireflies that are contemporary from standard reach, and also very clear more gunk simultaneously. (Note: the Fire Hammer will still only get rid of one ceramic tile from filth when excavating down since this will otherwise affect action and also course preparation.). ” Duke,” Beckwith said, a specific coldness in his voice. “I think you misinterpret my dancing for all yours.” He protruded his elbow toward Female Edith along with the sky from a man ill-used. * Bookperk is actually a promotional solution of HarperCollins Publishers, 195 Broadway, New York City, NY 10007, giving details about the items from HarperCollins and its own associates. Through submitting your e-mail deal with, you understand that you will acquire e-mail communications from Bookperk and other HarperCollins solutions. You might unsubscribe off these email communications at any moment. If you possess any questions, satisfy assessment our privacy plan or email us at. The fireflies you collect and also enemies you whack offer aspects, which are actually included in your overall close to royalty in the upper-right section from the display. Fireflies honor 50 factors while opponents and symbols provide 10 each. Foes will definitely pick up or eat fireflies if they come up to them; getting rid of an opponent that has actually had a firefly will honor you the aspects for each (10 + 50 = 60). Reaching foes in quick succession will certainly cause combinations, although damaging symbols performs not use. ” I ought to want to speak with His Lordship, if he is free of cost.” He carried out certainly not inquire. Gowan certainly never asked; he mentioned. This produced no difference, due to the fact that he constantly acquired exactly what he yearned for. And there was something undignified about asking. Time wasted on its own, in his point of view. All prematurely, as well as out of the blue, you tipped and also perished, and all your seconds were gone. Because he had little time alone, he favored to maintain a barricade in between himself and also the globe. He performed certainly not lament his lack of personal privacy; he experienced that would be a wild-goose chase to dress, for example, without simultaneously hearing his assistant’s document. If there was actually anything that Gowan disliked, this was wasting time.